From swimming to scuba diving, there are many things one can do on Croatian coast. But one special activity somehow manages to slip through broad attention, which is quite a shame. 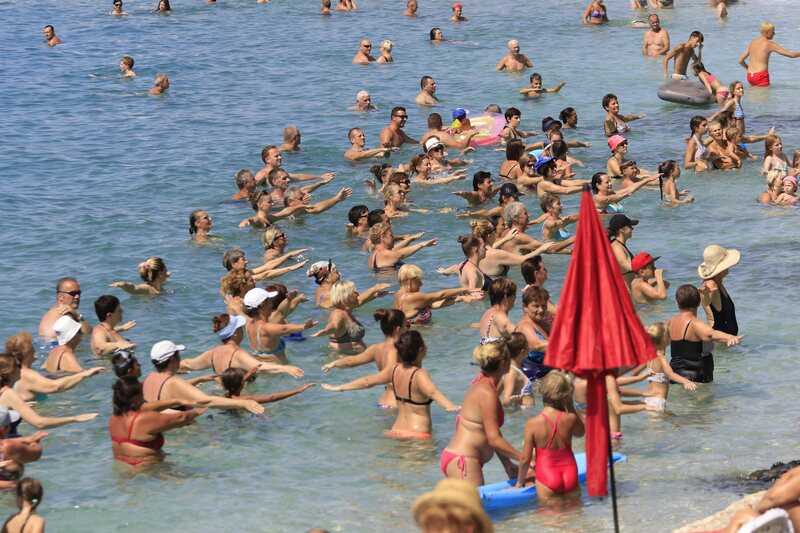 Water Aerobic exercises are often being organized throughout the Adriatic shoreline, encouraging people to move and take care of their health. 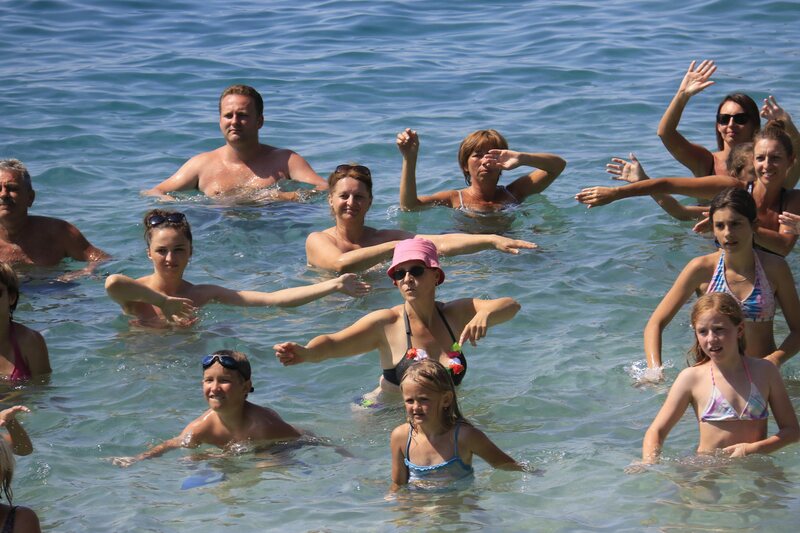 The activity usually involves a professional animator who arrives on the beach and calls people to follow his moves. He is often accompanied with supporting animators that join in showing how to perform exercises from the solid ground. All people who wish to participate gather in front of these leads, the only difference being that they perform exercise moves in the shallows of the sea. The water aerobic is that much efficient since it takes more strength to actually make a move. Just as you can’t run through the water as fast as on dry land, the simple moves are also that much challenging. However, at the end of the day, you made a decent workout. Water aerobic is accessible to everyone. Even senior and inexperienced participants have no problems with doing the exercises. The photos used in this article were made recently in Makarska Town, the leading animators being sent from local Hotel Rivijera. If you ever come to this part of Croatia, you might want to replace the gyms with refreshing beaches of Dalmatia.